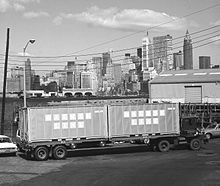 Generally, North American 53-foot containers were not constructed strong enough to endure the rigors of ocean transport, but in 2007 container carrier APL introduced the first 53-foot ocean-capable containers. 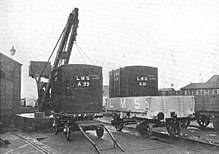 All new, reinforced 53-foot boxes were built specifically for international trade and designed to withstand ocean voyages on its South China-to-Los Angeles service. 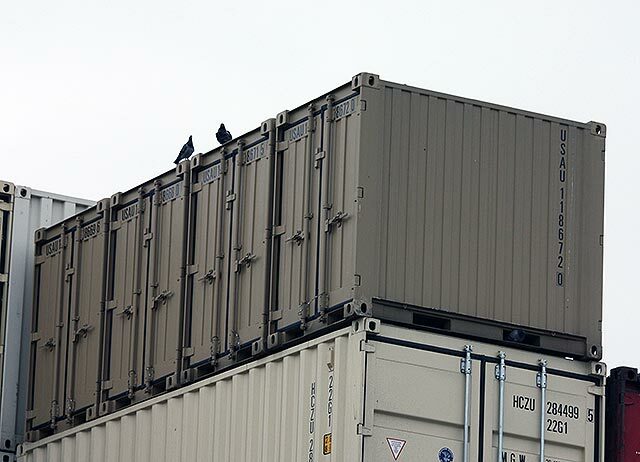 In 2013 however, APL stopped offering vessel space for 53-foot containers on its trans-Pacific ships. 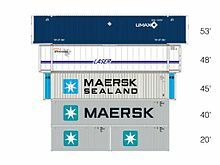 Nevertheless, In 2015 both Crowley and TOTE Maritime each announced the construction of their respective second combined container and roll-on/roll-off ships for Puerto Rico trade, with the specific design to maximize cubic cargo capacity by carrying 53-foot, 102-inch wide (2,591 mm) containers. 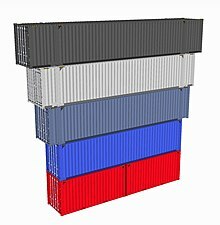 Within Canada, Oceanex offers 53-foot-container ocean service to and from the island of Newfoundland. 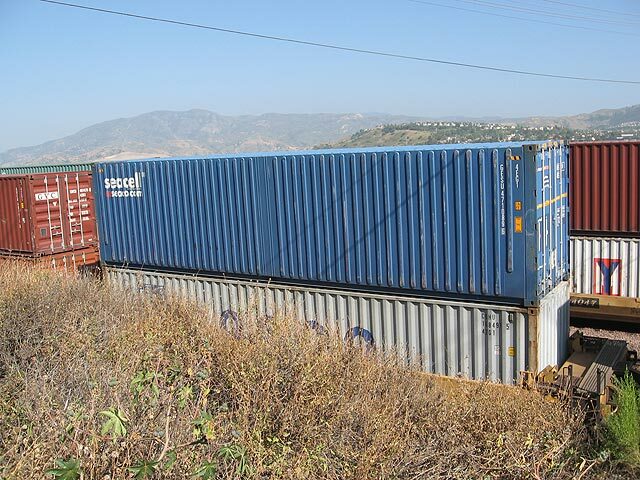 Fifty-three-foot containers are also being used on some Asia Pacific international shipping routes.